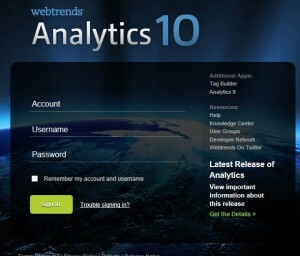 In my past life I used WebTrends 8, then some time has passed and I have moved into customizing WebTrends Analytics 10. I have seen some drastic improvements since the older version. I want to highlight four new features and how they can be beneficial to you or your organization. The new WebTrends A10 has two dashboards that are provided. The system has an overall site dashboard that you can customize with important high level reports. There are also page dashboards that provide the visits, bounce rates, traffic sources, next page flow, social buzz, geography, search engines and search phrases reports. Both of these dashboards are really nice if you have an organization that looks at their site in specific sections or product categories. Your team can look at the high level pages of your products and determine where the traffic is coming from, bouncing, and where they are going. The design is easy to use and very simple to garner basic analytical insight. Site’s that have specific content areas that belong to product managers or products are easy to segment with WebTrends. You can set up content filters by URL, Domain, or Content area. The filters will not interfere with your overall data structure and you do not need to create separate profiles. Unlike Google Analytics when filters are set up the data is sent to that specific filter and another profile needs to be created to capture data as a whole, WebTrends does not have this limitation. Hootsuite is a leading social media dashboard that integrates with WebTrends analytics 10. The nice features of the report is you get social driven site behavior by day, hour, and social network type. This allows your team to see what day and time your social network messages are getting the most interest on your website. There is also a message report that pulls in the text used in the social media messaging. I find this report, the most valuable as it provides the kinds of Tweets, Facebook Links or LinkedIn posts that bring in the most interested traffic. With Google Analytics or Adobe Omniture the tracking is set up with on page java tags. This means that if you want to create a new report that is different than what you currently have, new tags need to be deployed and a new report needs to be configured. Your report will start tracking data from the day your tracking code is instrumented on the live environment. With WebTrends, if your site already has code and you want to create a new report you can go backwards in time and create report data. This is quite beneficial if you want to display a report and go back a few months to find the information as it was captured by the log file tracking. Only caveat is that if you go too far back, there is a charge. 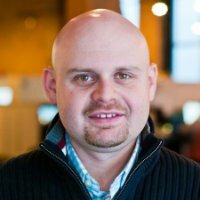 Sometimes, there is incredible value in figuring out a KPI by going back a month or two and the charge is a negligible. Since the last time I have used WebTrends they have drastically changed the interface and made the reports more dashboard focused. The new system provides the report in a nice interface that is useful to the end user, especially if they are new to web analytics. Caveat is, you need someone that can create the reports based on your organizational KPIs. The out-of-the box implementation is not configured to capture your organizational goals, but has over 100 standard reports.